A great project begins with vision and is given life by drawing on a mix of talented people to make it real. 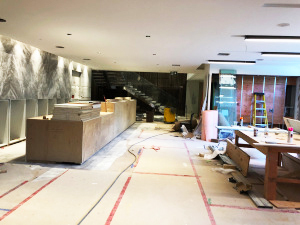 To properly tell you about the creation and special features of The Lobby (Tridel’s new high-tech experiential showcase at 4800 Dufferin St.), I’m going to draw further on interviews I conducted with key teammates and our external design partner. A "solve not sell" mentality helps manage individual purchaser needs. Now, I want to introduce: Tridel Principal Interior Designer, Stella Salvador; Finishing Superintendent, Innis Tysall, and Pricing and Drawing Control Manager, Claudine Nitsotolis and an external partner, II By IV DESIGN, to further explain The Lobby story. Stella, a 23-year veteran who oversees the design of all of Tridel’s model suites, describes The Lobby as a “paradigm shift.” It has expanded the range of pre-priced options from hundreds to 1,000-plus and created designer-appointed packages that can be modified and enhanced á la carte. “We have to anticipate trends and make selections with ‘staying power,’ while also offering choice and personalization,” Stella says. “We will use The Lobby to demonstrate our ‘solve not sell’ mentality.” So that means, for example, a purchaser with the need for extra acoustic buffering can be accommodated and planned for early-on. Innis led the renovation of our head office (at the same address), managing the reconstruction of the interconnected facilities. No renovation is typical, Innis will tell you, but this one was exceptional. “The original structure has aspects from at least three decades – the ’50s to the ’70s.” And the presentation centre that preceded The Lobby was developed about eight years ago. 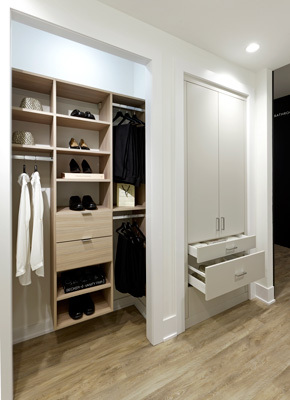 Creating a new entry foyer and design center in an existing space met with multiple challenges. Steel structures had to be moved; windows had to be added to existing facades, and concrete and block walls had to be torn down and rebuilt. The Lobby has over 1,000 pre-priced design options. But to achieve a exciting and inviting space with tremendous natural light also meant handling unique and common challenges. Unique: dealing with company principals daily and navigating a project where employees remained onsite. Common: an evolution in the original design, one that involved changes to the executive area. Physical spaces have a “natural lifespan,” observes Innis; they must remain aligned with current design thinking and evolving needs as you continue to grow. I agree and that perspective certainly reflects Tridel’s emphasis on sustainability. construction arm, Deltera, for almost a decade, she’s been “living” this project since January 2018. 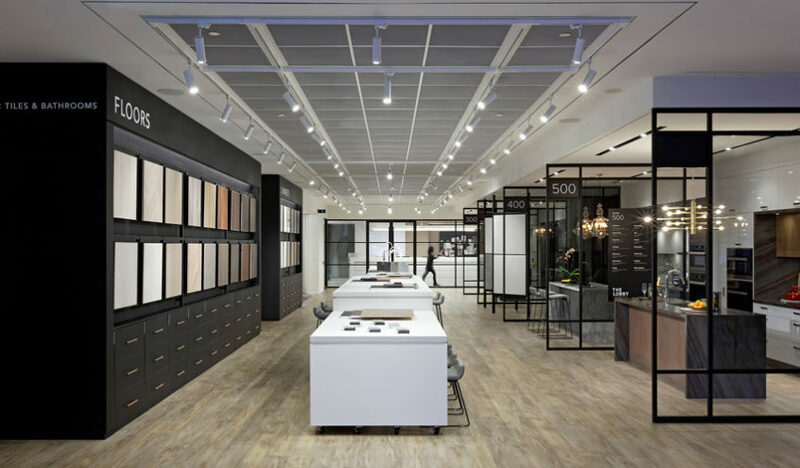 Claudine worked with Project Management to ensure seamless process and pricing integration with the trades and with Stella on design options for showcasing. She was also our point person for getting the app up and running. Tridel has worked with II BY IV for more than eight years. They know our history, understand our family orientation and respect our passion for quality. 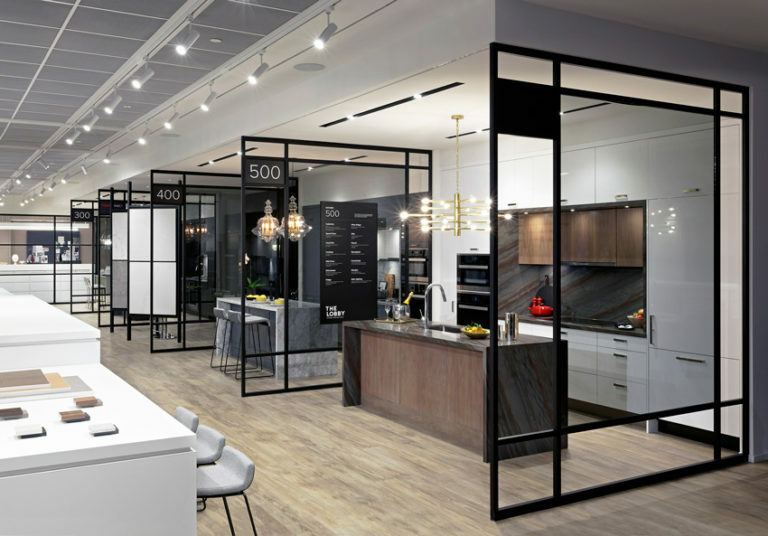 To succeed, they had to address many functional and design goals – from incorporating a retail experience at every touchpoint to providing a modular design suited to diverse uses. 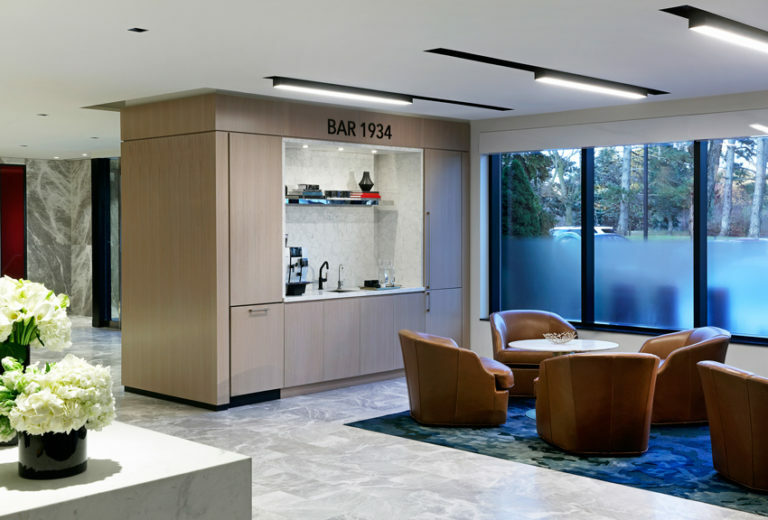 Through their design solution, Dan and Sarah Gatenby sought to communicate “leadership,” “welcome,” “confidence” and “home” – all of which reflect the essence of Tridel. It is a beautifully lit space that has gallery and retail qualities and with the illusion of an abundance of natural light. II BY IV DESIGN has described it as the leading and foremost design centre in Canada and North America. Who am I to argue? I could declare The Lobby story “finished” at this point. But there’s still one important “plot line” to explore: The exciting digital design exploration app that adds a high-tech dimension to the buyer journey. I’ll tell you more in my third and final post.